If you want to add a style statement to your wedding, then Ambient Turret, Bangalore, is the wedding venue you should go for! It has two event banquet halls that can be utilized to host various wedding functions and ceremonies. The event banquet hall has impressive interiors and architecture. Ambient Turret also has an in-house culinary team that sets up delicious buffet counters with a personalized menu, just for the wedding day. It also allows you to get a wedding decorator team and DJ, exclusively for your big day. 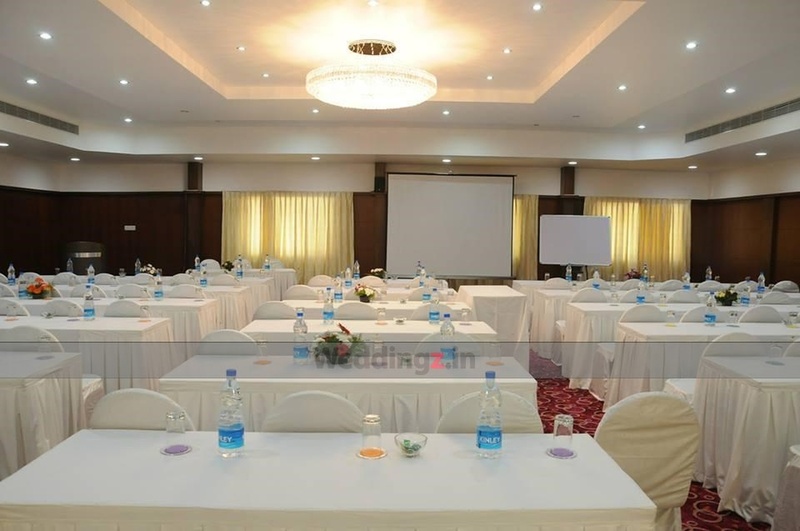 The Ambient Turret located in JP Nagar, Bangalore has Wedding Hotels and Banquet Halls. Silicon can accommodate upto 250 guests in seating and 700 guests in floating. Seneate can accommodate upto 70 guests in seating and 150 guests in floating. Vegetarian food is served at this venue. Features of this wedding venues are : Food provided by the venue , Non-Veg allowed at the venue , Alcohol allowed at the venue , Outside alcohol allowed at the venue , Halls are air Conditioned , Baarat allowed , Fire crackers allowed , Hawan allowed , Decor provided by the venue , Packages starts at Rs 500 per plate for vegetarian menu and at Rs 650 for non veg menu. Decoration starts at Rs 10000.